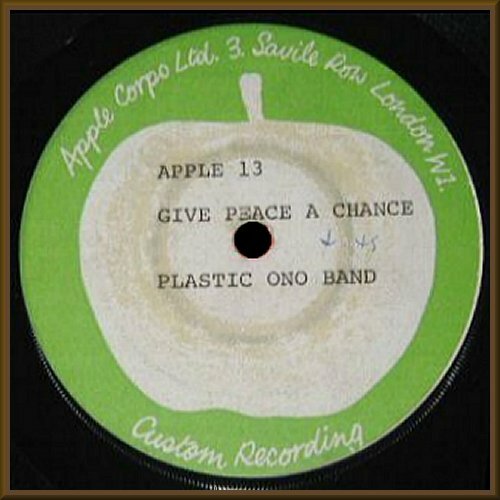 Plastic Ono Band - Give Peace a Chance / Remember Love (Apple 13. Made in UK 1969 ). Vinyl pressing with paste-on labels. 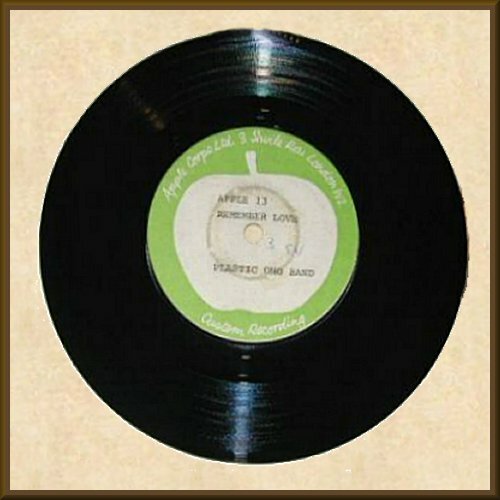 Don't know whether this is a test press or what Apple used as demos at that time. Durations written on label : 4'45" and 3'54". Matrix numbers: Apple 13 A-1 & Apple 13 B-1. Condition: Disc Near Mint. Labels have some wear or effects of glue on the paper paste on labels. Track timing written on each label. Comes in plain white sleeve as found.